Why is it important to fill out the National Student Survey (NSS)? By Rahma Ali, Vice President, Health & Education and Science & Technology. I believe that students should have a chance to reflect and feedback on their learning experience over the past 3 years on their chosen programme to provide important details on areas for improvement and development for future and current students, supporting quality and assurance and accountability. The National Student Survey (NSS) is the best way you can do this! Your feedback is incredibly important to the University & Students’ Union as it provides specific concerns on your programs as well as areas where Middlesex University did well. 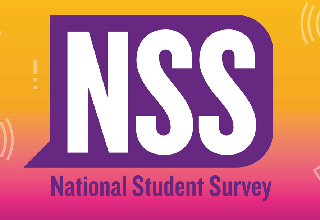 The NSS is a highly profile annual survey that is conducted to almost one million students across the UK. The survey has been conducted since 2005 – aimed at final year undergraduate students to help shape the future of their course at university level or college. The survey gives you the opportunity to respond to several questions, regarding various aspects of your time at university with the opportunity to make both positive and negative comments on your experience – all responses remain strictly anonymous and no student will be identified. All students, including current and prospective students benefit from the NSS. Since the NSS provides information to enhance the student learning experience – Universities use the results to develop their courses and facilities and contributes to the public accountability of higher education. We as Middlesex University Students' Union - the body that exists to represent our students - use anonymised data internally to identify areas of strengths and weaknesses, and in almost every single campaign we run, we use the data and the commentary made available to us through the NSS using it as evidence to bring about enhancements intended to improve the student experience with the university. This year we have run many campaigns, including academic campaigns such as receiving constrictive feedback, and spreading out exams and deadlines, which are all in progress as well as action plans put in place in response to the student feedback – as student feedback is at the heart of all the work we do. Therefore, without the NSS data, we couldn’t have run many of the successful campaigns that we have in the past to bring the change students desire. So, make sure that you click below take part in the survey and voice your experience by providing your honest opinions of your time here at Middlesex University.